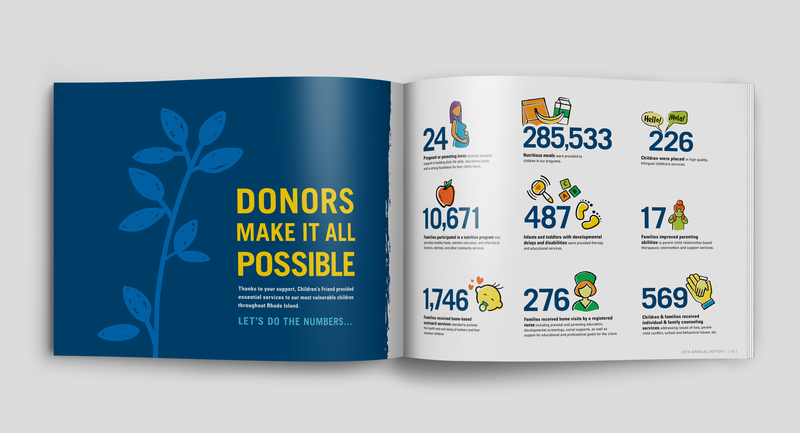 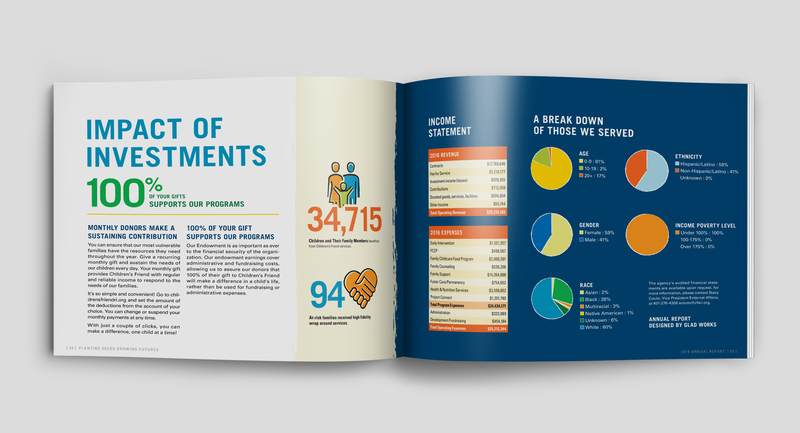 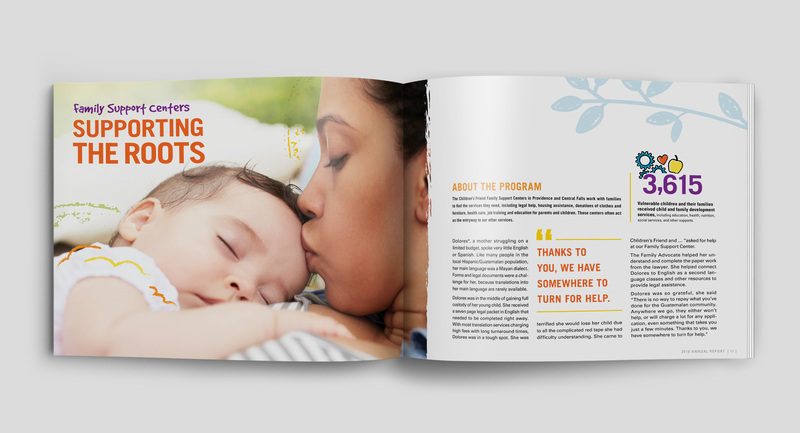 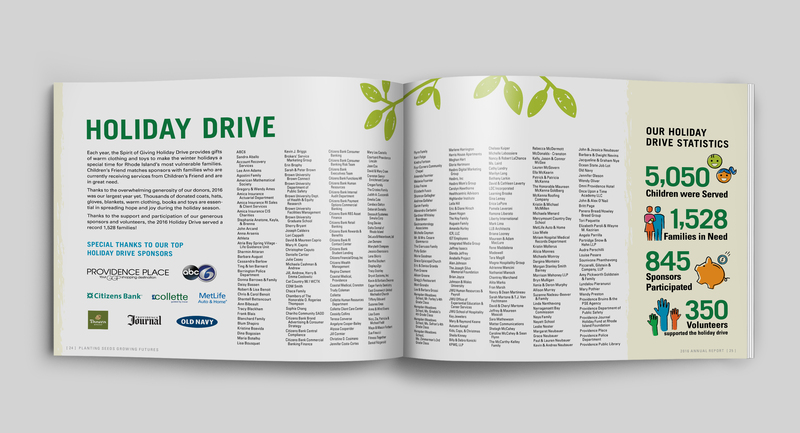 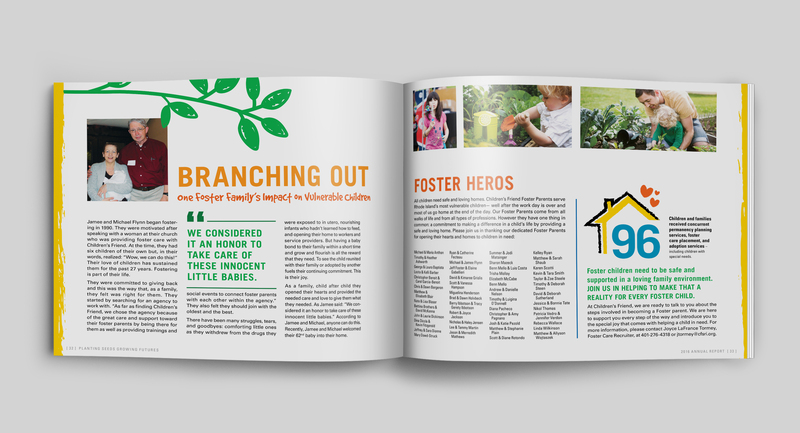 Each year I have the pleasure to work on the Children’s Friend and Services Annual report. 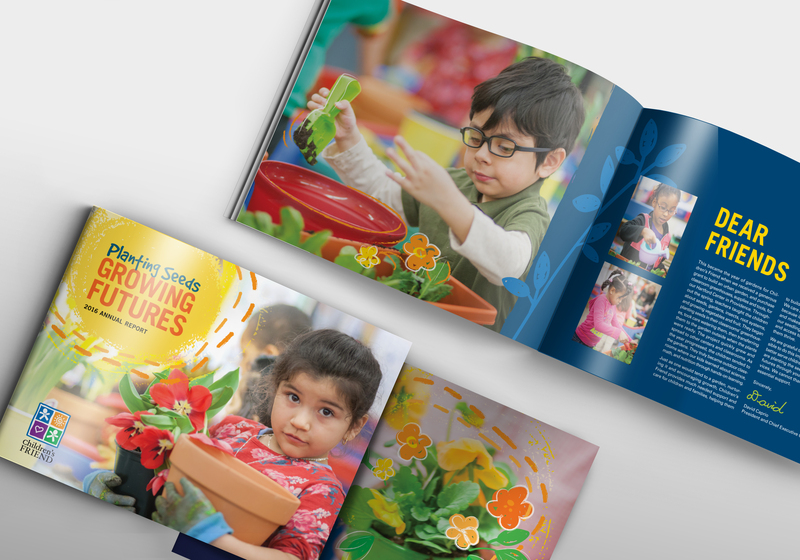 The 2016 report featured some of the children planting flowers and exploring the outdoors. 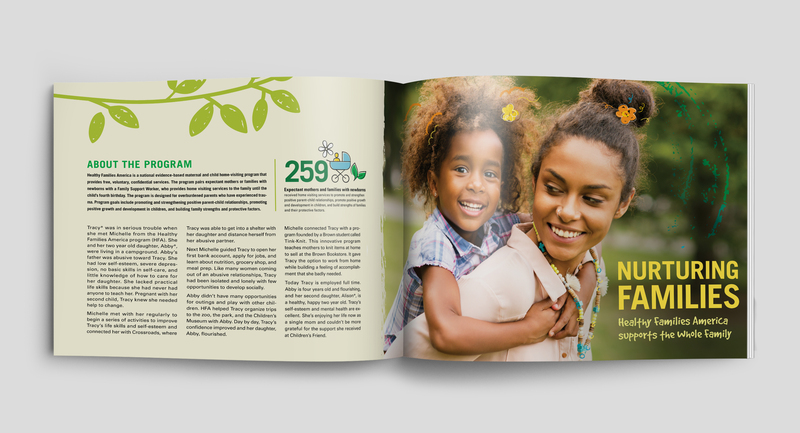 In addition to the design and branding of the booklet I provided direction to the photographer working on the custom shoot. 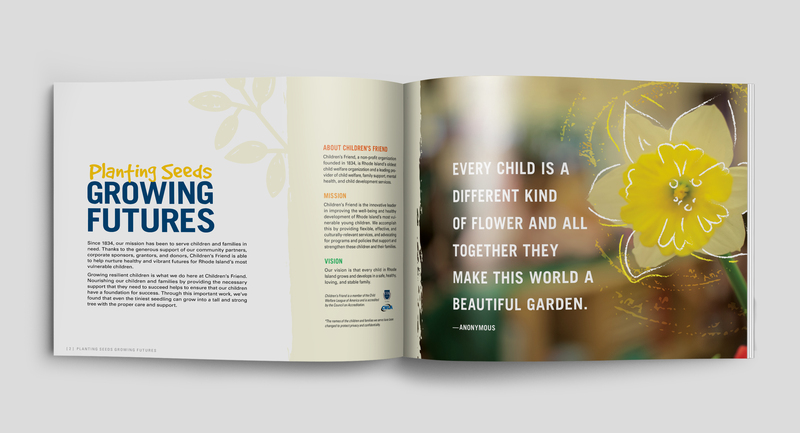 I enjoy working directly with the client and creative director, to expand the branding each year.